Can we all agree that when it comes to small, sporty and powerful rides, Porsche models just take the cake? 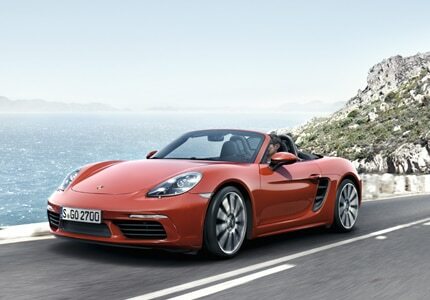 The 2017 Boxster is no exception. Equipped with the same powerful engine as the last Boxster, the new 718 model offers a gripping ride in a handsomely upgraded frame. The soft-top roof only adds to its charm when fully upright.